A U.S. citizen charged with damaging public property after spray-painting graffiti on a metro gate has been acquitted by a Turkish court, Turkish newspaper HaberTürk reported. 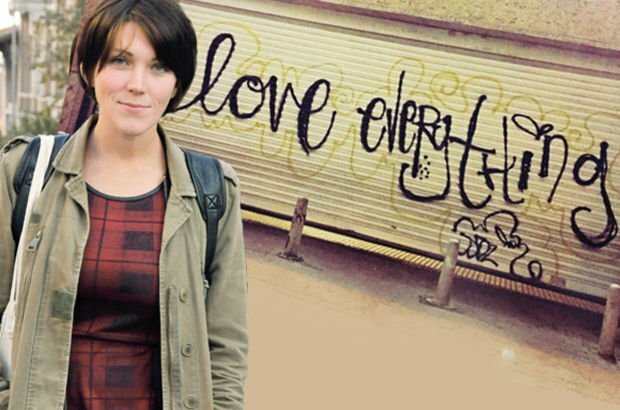 The woman, identified as Alexandra R., spray-painted “Love everything” on the metro shutter gate in Şişhane, a neighbourhood in central Istanbul, and was spotted by security personnel, who informed the authorities. The U.S. citizen admitted she was responsible for the 2016 incident, putting her in line for a prison sentence of up to four years. “In the United States, I would do this kind of graffiti art, it isn’t forbidden. When I came to Turkey I saw that there was spray paint everywhere. If I had known it was a crime I wouldn’t have done it,” she said in a statement to the court. The court acquitted Alexandra R, stating that she had not intended to commit a crime and that there was no criminal element to the incident.